White dinnerware is my favorite! When I was contacted by Better Homes and Gardens to see if I wanted to review their new collection of porcelain dinnerware available exclusively at Walmart, I said yes! 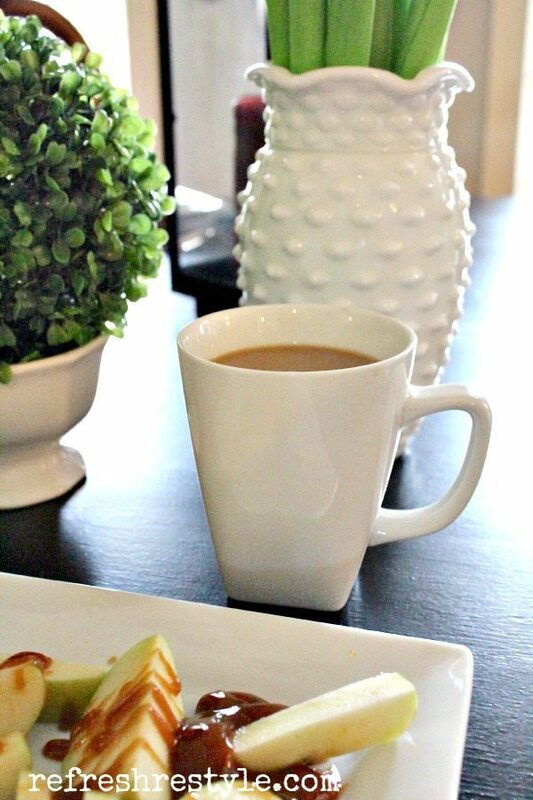 I am going to show you three different and easy ideas for entertaining with the white dinnerware and some of the accessories that I bought with the gift card they sent me. I bought this awesome plaid table cloth, a set of silverware, apple bowls and a wire bread basket. 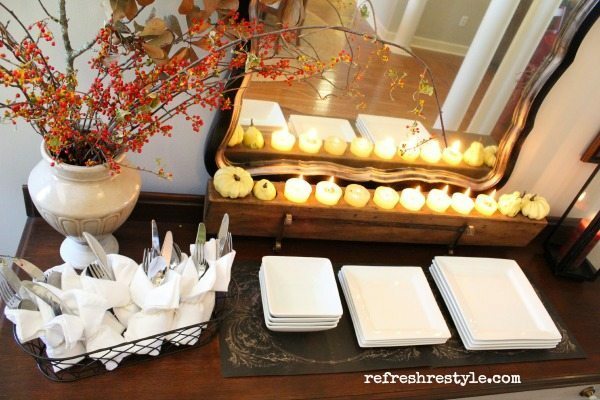 When I’m decorating for a get together, I try to incorporate items that are in season. Guess what’s in season right now, apples! 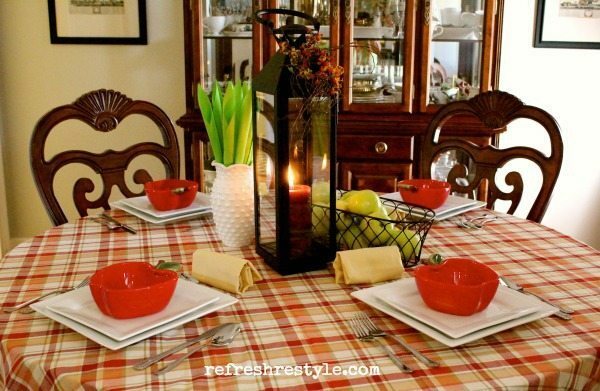 The plaid tablecloth is perfect for the casual get together! The wire basket can hold bread or use it to decorate with. 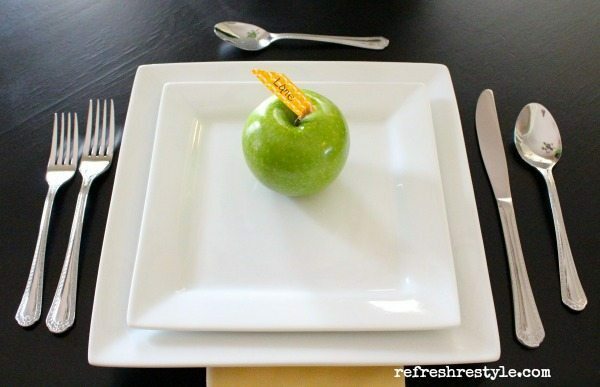 These apple bowls look so good combined with the square plates! They are the perfect size for soup, cereal or a bowl of chili. 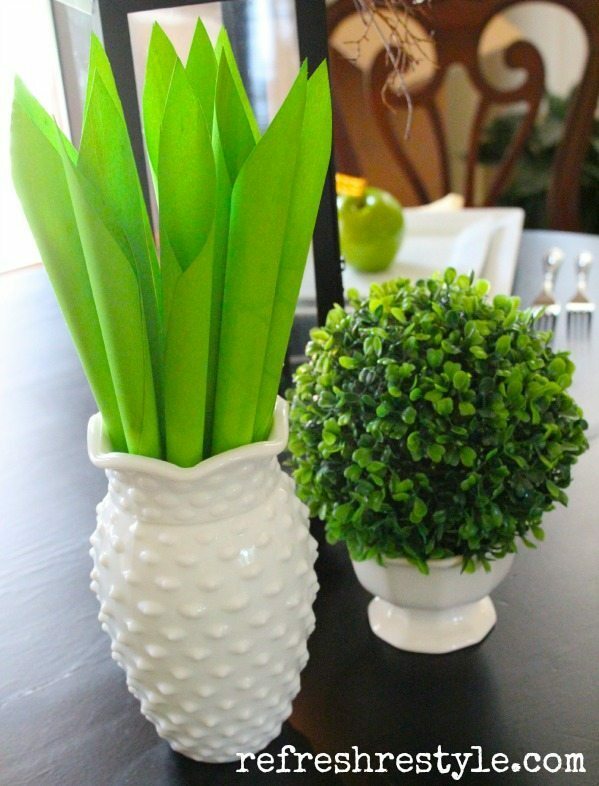 I gathered greenery and white containers and used them with the basket of apples for a center piece. 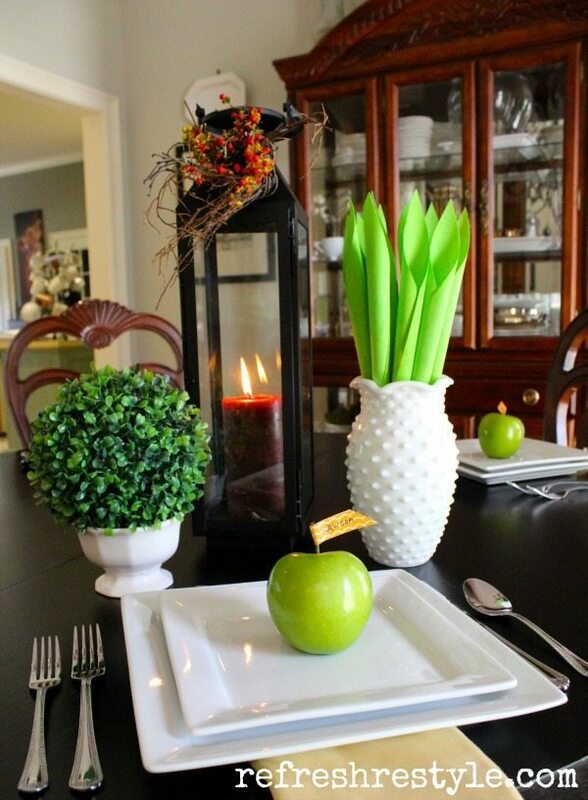 My accent color for this tablescape is green, green apples and washi tape place cards look perfect. I also removed the tablecloth for a little more formal look. The way I test silverware is by the tines on the forks, some are not comfortable when your eating. These passed the test and they are great. Have you eaten with a fork that just didn’t feel right? The Better Homes and Gardens silverware is wrapped in white napkins. I used the BHG wire basket to hold them. They are ready to grab, take a plate and fill it with food. 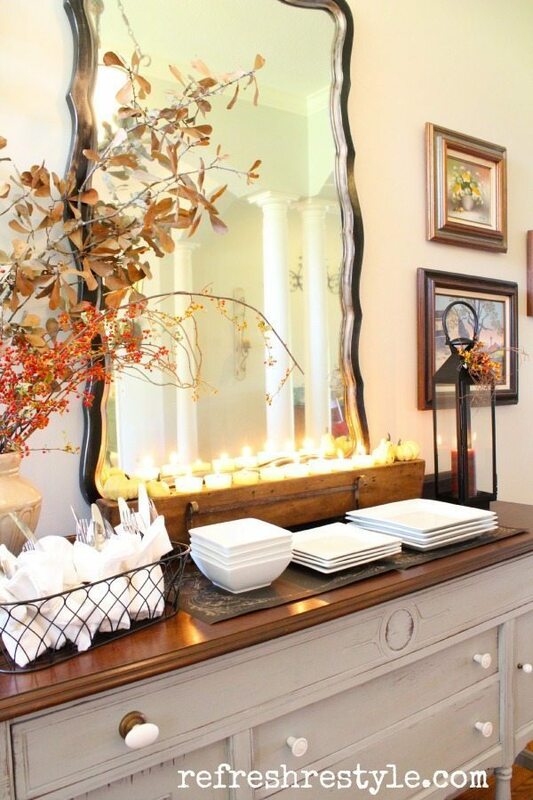 My sugar mold, filled with candles is a perfect accent on the buffet. When guest arrive it will look like you’ve spent all day prepping, even though you didn’t. Each set of dinnerware comes with 4 each cups, dinner plates, salad plates and bowls. This set is beautiful and I can see using it for formal and casual dining. 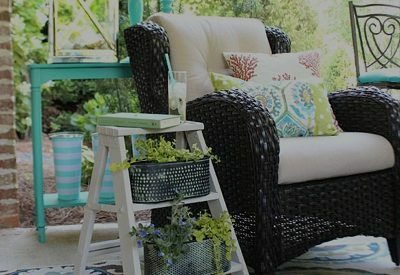 Be sure to check out the new line of Better Homes and Gardens products at Walmart and their accessories! 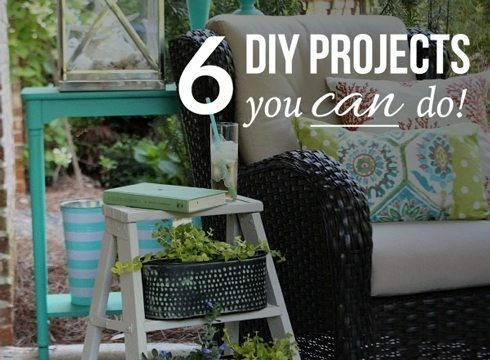 Follow them on FB – Better Homes and Gardens products at Walmart. 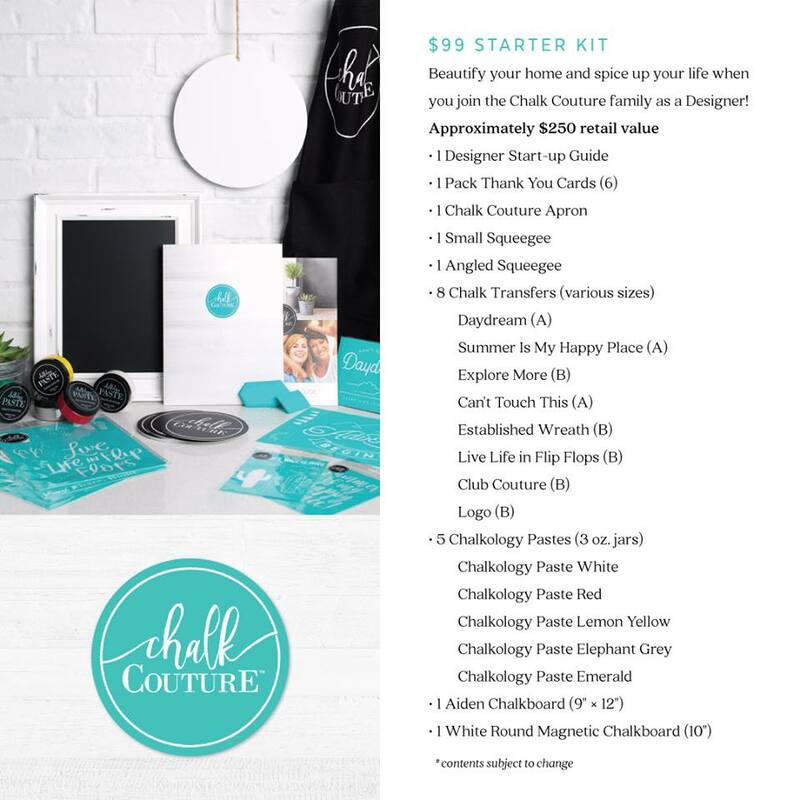 Thank you Better Homes and Gardens for providing me with the beautiful white porcelain dinnerware sets and the gift card to buy accessories. 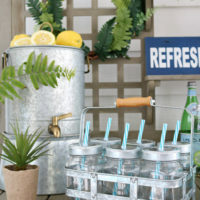 I did a tablescape for BHG too – LOVE, love those dishes. 🙂 Love yours, Debbie! and love how you showed all the different options. 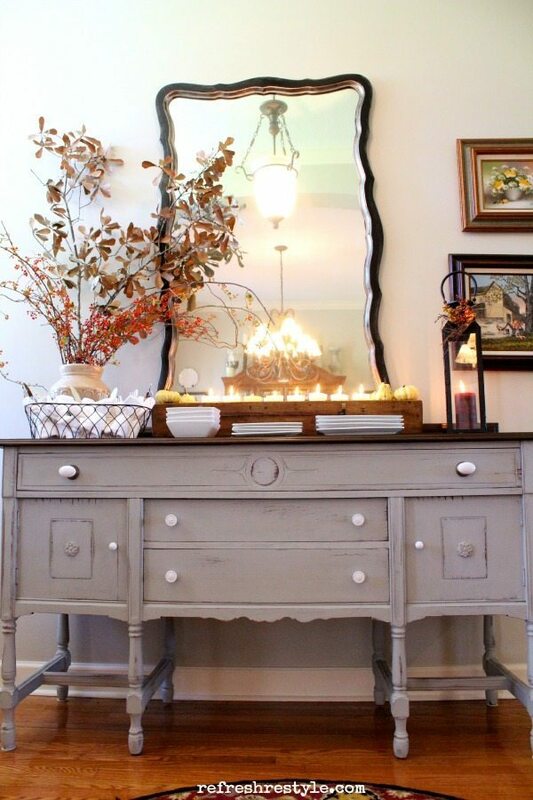 Your dining room is beautiful too! Such a lovely tablesetting. 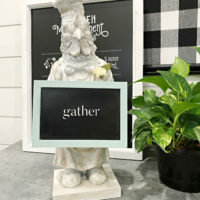 Better Homes and Gardens always has such beautiful home items and those square white dishes are making their way to my wish list for Christmas. Love those! You saved me some right?! YUM!!!! Looks amazing! I love white dishes too! These square ones from Walmart are gorgeous! 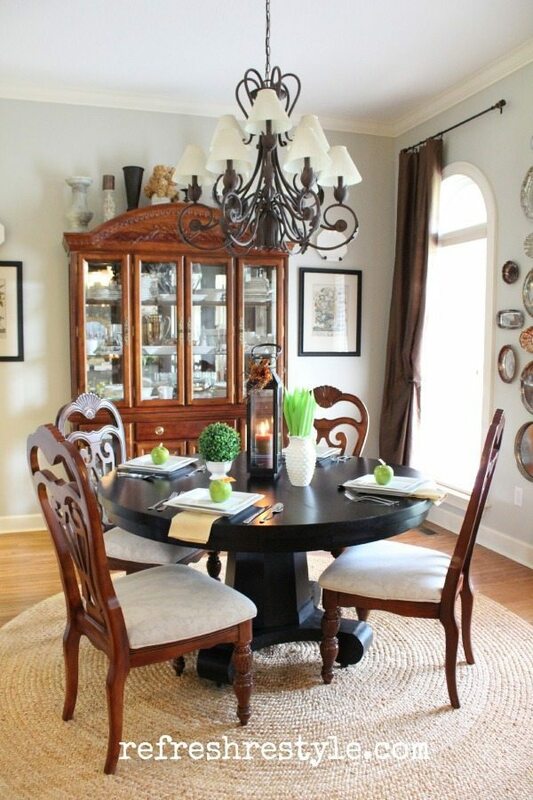 Love your dining room! I love how you styled everything! I especially love the square plates! So fun!! Thanks! The square plates are my favorite! 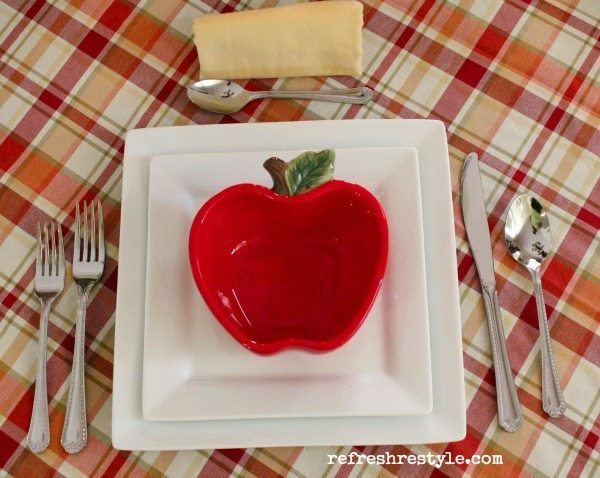 I’ve always LOVED square plates and those apple bowls are adorable! Ok there is so much to love I am not sure where to start! 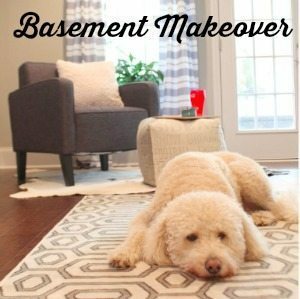 I bought some stuff from the BHG collection at Walmart a few months ago and I totally love it! Your new white pieces are so versatile and stylish! White dinnerware is a must! In fact, in my opinion it’s all you need. 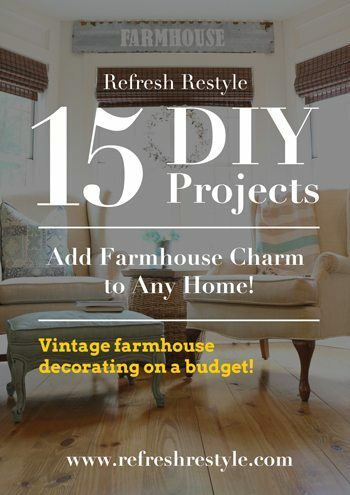 I have been a fan of BHG since I was a little girl and my mom used to subscribe to their magazine. I’m so glad they put an affordable line of products in Walmart. I absolutely love white dishes! I will definitely be checking these out! Thanks for showing us, Debbie! I know, white dishes rock! Debbie, I have to say I’m a big fan of white dinnerware too! Something about it always looks so good when setting a table. 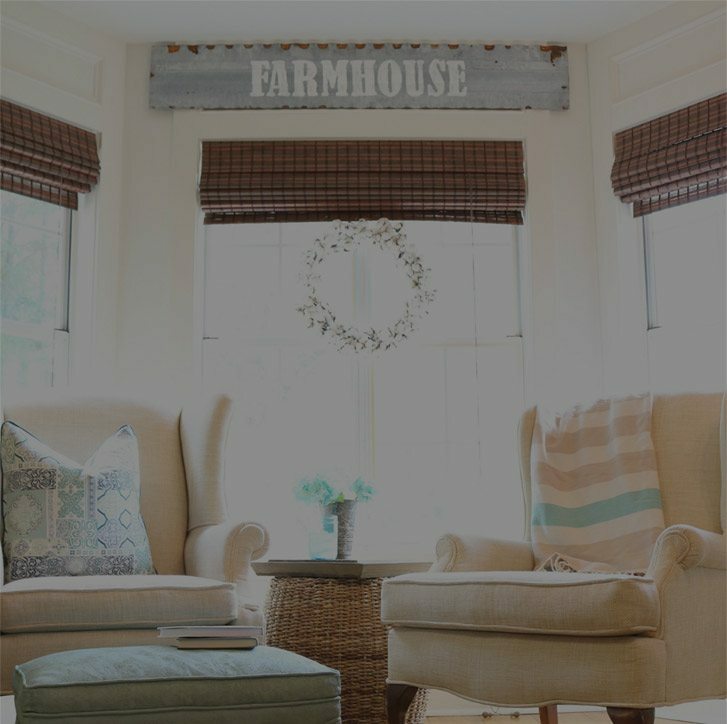 And, this BHG collection with it’s modern yet classic take really catches my eye. I think I need to take a trip over to Walmart. Thanks for sharing. What a gorgeous set! 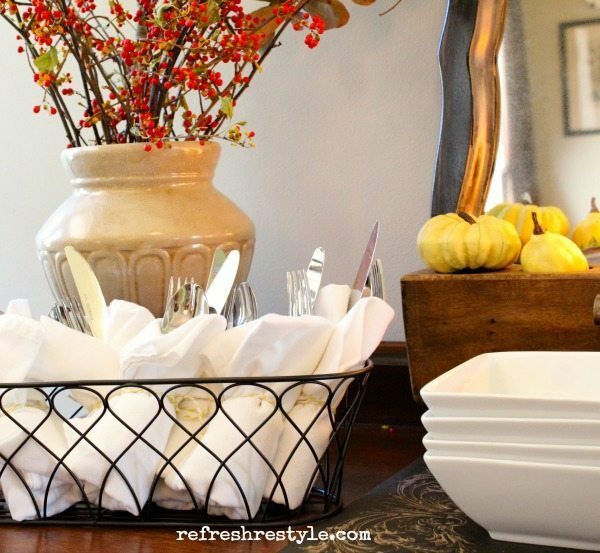 I always look at the BHG dishes when I’m at Walmart … love the simplicity of them! Pretty dishes!!! Hmm… I will have to go check it out. Luv the white dishes with the fall touches. I just love all of the white dishes and touches of Fall. 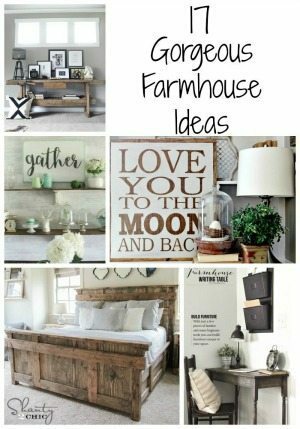 I so need to check out the BHG stuff! Hope you are doing well! 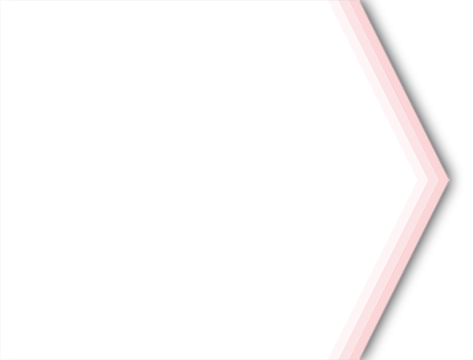 Love how the white sets off the other colors. Nice settings! Very pretty! Love all the ways you presented the dishes. May need to run out and get a set! 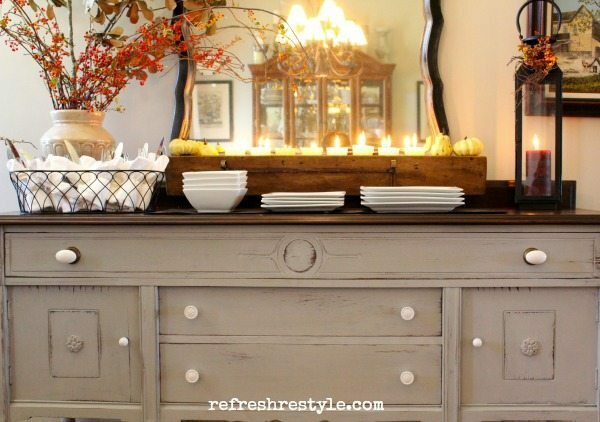 In love with the buffet! 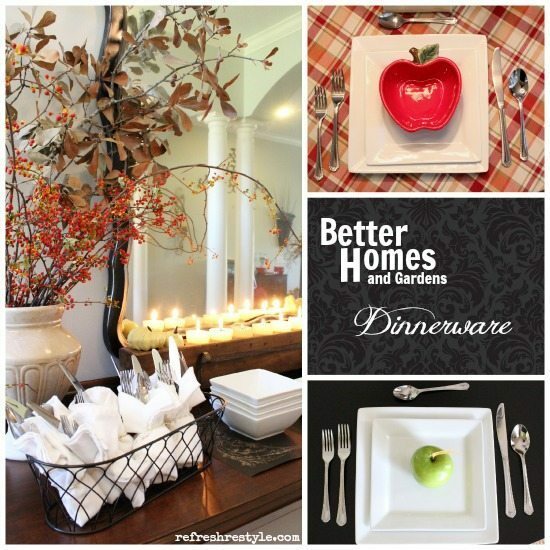 Jenni, You will love the dinnerware and the silverware is wonderful too! I really like the BHG line. These dishes are perfect. 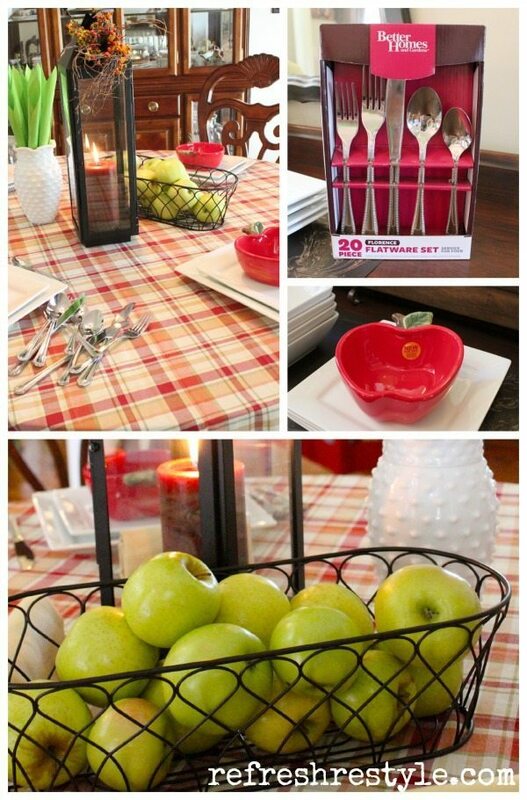 Love the way you decorated your table with the apples. Very pretty!